How Do Deaf People Learn About Music? How Do Deaf People Learn About Music? 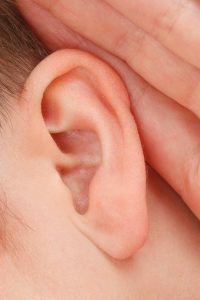 Home › how-to › How Do Deaf People Learn About Music? One of the most beautiful things in this world is music. Music is everywhere we go and a big important part of our lives. Most of us cannot go an entire day without hearing some form of music or another. However, for the people who are born or become deaf, it is very different. The sounds of music and all of the tunes that come from it, are non-existent. But are they really? What if they are not and deaf people can actually feel the music? The reality is that a lot of people often wonder if those whom are deaf-mute can hear music? Moreover, how do deaf people learn about music at all? And if they can learn it, are they able to enjoy it? These are some of the many questions that those of us who can hear may take for granted or not even think about. Yet for people who spend so much time each day listening to music, it must be something to ponder. Throughout history, it was widely believed that those who were completely hearing impaired could not hear music. But after many studies and research, there is a lot of evidence to the contrary. A few years ago, Doctor Dean Shibata, MD, performed a study on the the hearing impaired. The research was done at the University of Rochester School of Medicine in New York City. During his research, he found that in there is a part of our brain that is used for hearing. The study found that deaf people are actually able to sense those vibrations in that same part of the brain. More than 10 students who had hearing loss from birth were used in the experiment. They were then compared to 11 other people with normal hearing. Using a pipe, all of the students were asked to see if they could detect the vibrations. Simultaneously, brain scans were performed on them to detect if any signals were being transmitted to the brain. The scans were able to pick up the activity and the deaf people felt the vibrations. That same part of the brain we all use for hearing, picked up the music signals via vibes and pulses for those that were deaf. A vast majority of people who study music or instruments are often told by their teachers, to feel the music. Truth is that the tenet of ‘feeling the music’ is one that anyone who wants to play, sing or write about music is told to do. The belief is that you can only truly love something unless you are able to genuinely feel it. That concept has taken on a new meaning when it comes to the hearing impaired. For them, feeling the music is an actual reality. One of the biggest and greatest examples of this comes from Beethoven. He was a preeminent composer and one of the greatest of all time. However, towards the end of his life, Beethoven actually ended up deaf. Although he did have the advantage of once being able to hear music early on his life, he still ended up having to use vibrations at the end. It was through those vibrations when he played the piano, that he was able to continue to compose music. It may be true that those who are hearing impaired probably won’t be able to fully enjoy music in the same manner that those who hear it can. Nonetheless, the deaf are still able to feel and enjoy the rhythm of the music via vibrations. To a deaf person, being able to feel the vibes and pulses which music generates, equates to actual sounds. In the end, our brain processes it in the same part. That part of our brain is what lets us know to appreciate and enjoy not only what we hear, but what we feel.